At Bouché Boutique, we have a collection of quality hair care products that are specifically designed, tested and proven to treat particular hair types and concerns. Enquire now! Cleanser and scrub in one. Empowered with not one but four physical exfoliating beads (Cranberry Seeds Jojoba Beads Diatomaceous Earth and Hydrated Silicone Crystals) to offer the skin an invigorating deep cleansing experience. Fortified with V8 Peptide Complex® the skin is left super hydrated radiant and awakened. It doesn’t get better than this! Perfect for most skin types. Not suitable for use on red inflammed skins. A unique 3 in 1 Fruit Peel Mask and Gommage that exfoliates using fruit enzymes by releasing redundant cells and stimulating new healthy ones promoting a healthy smooth hydrated and radiant skin. One easy step three great benefits. Triple Treat! Perfect for all skin types when applied as a mask. Do not gommage red inflammed skins. A corrective cleanser and mild-peel in one which purifies and thoroughly frees your skin of imbedded dirt makeup excess sebum and damaging pollutants. High-powered L-Lactic and encapsulated Salicylic Acids gently exfoliate dead skin cells unclogs congested pores and discouraging impurities. V8 Peptide Complex® ensures skin is left super hydrated and renewed. Daily home facial! Perfect for oily congested problematic skins and skins looking for regular exfoliation. Not suitable for fine or sensitive skins. To activate this cleanser you must shake the bottle before every use. Splash face with warm water, apply a small amount of cleanser to finger tips and massage into a lather on face and throat. Remove with a face cloth and rinse thoroughly with warm water. For a mild-peeling effect apply the corrective cleanser on dry, clean skin and leave for 2-3 minutes, then rinse as normal. Avoid eye area, not to be used as an eye makeup remover. Super concentrated doses of pure L-Sodium Hyaluronate Acetyl Octapeptide-3 and a 100% natural skin-tightener make this topical skin filler a potent youth accelerator. Fortified with encapsulated multi vitamins and V8 Peptide Complex® this serum helps to relax the muscle and decrease appearance of lines and wrinkles leaving the skin hydrated and radiant. Hero product! Perfect for all skin types looking for super hydration calming and soothing youth and radiance. Use 1-2 pumps around the eyes, face and throat morning and/or evening after cleansing and before hydrating. 100% pure bioactive Retinol in micro-encapsulation technology ensures superior stability and potency. This extraordinary vitamin A complex offers visible cosmetic anti-aging benefits to dramatically reduce the appearance of fine lines and wrinkles promote a firmer more elastic skin texture and even out skin tone. V8 Peptide Complex® ensures skin is calm super hydrated and renewed. Shhh it’s your secret! A must have for anti-aging. Perfect for all skins using Vitamin A for the first time. Mix 1-2 pumps of Potent Retinol Serum into 1-2 pumps of O Cosmedics treatment hydrator before application. Mix on finger tips and apply to face and throat. Begin usage every second or third evening and gradually increase usage to every day giving your skin time to build up tolerance and avoid sensitisation. Not to be used neat on the skin. Use in the evening. Youth Activating Oil-Balm is a corrective treatment serum rich in vitamins and fatty acids. The L22 restores the skin’s lipid composition to that of a healthy 22 year old while the Lakesis increases the production of Klotho (a youth protein)in the fibroblast and reactivates cellular detoxification. Heavenly! Perfect for dry dehydrated aging skins looking for extra comfort and nourishment. Emulsify half a pump on fingers tips and apply to skin after serum and before or after treatment hydrator. Take care not to overuse – less is best. Dewy Skin Tips: For a dewy skin finish mix a small amount in with your hydrator or into your foundation. This super potent Repair Serum contains a unique blend of next generation ultra-strength antioxidants ceramides and anti-irritants to help fortify the skin’s barrier assist in healthy cell production and support the reduction of inflammation. V8 Peptide Complex® ensures the skin is super hydrated and protected. Pure TLC! Perfect for weakened irritated red reactive skins. Not one but four potent actives that control breakouts and diminish the appearance of scarring. Encapsulated Salicylic Acid and L-Lactic Acid exfoliate the skin (inside and out) and encourage cell turnover whilst powerful botanicals support the reduction of inflammation. V8 Peptide Complex® ensures skin is left super hydrated and rebalanced. Life saver! Perfect for breakouts congestion and even ingrown hairs. Apply to affected areas morning and evening after cleansing and before hydrating. Potent Clearing Serum may be successfully used on breakouts on other areas of the body. Do not layer with other actives unless instructed by a skin therapist. Pure and potent. Protect your skin from free radical damage using the most powerful antioxidant benefit of fresh chirally corrected Vitamin C. This pure L’Ascorbic Acid with encapsulated BHA offers daily exfoliation and antioxidant benefits second to none. Radiance plus! Perfect for all skins in fact an absolute daily must. Mix half a scoop into your choice of O Cosmedics serum or treatment hydrator. Apply to face and throat daily. A biomimetic breakthrough! “Bios” meaning life “Mimesis” to imitate. This serum uses 3 biomimetic peptides that imitate the biological conditions found in healthy skin to activate cellular and epidermal growth factor activity as well as preserve the life of these cells. All skins looking for age prevention or correction for the improvement of lines and wrinkles skin firming increased elasticity and Hyaluronic Acid will love this serum! Like weights for the skin! Perfect for all skins looking for skin health and skin youth. Boosts the skin’s immune system treats hyperpigmentation acne rosacea and is a vital source of cell energy optimising cellular communication and reinforcing skins barrier functions. A perfect treatment for acne hyperpigmentation and rosacea. All skins looking to improve their immune function induce skin health and radiance even out skin tone improve skin texture and protection will be addicted to this serum. Boosts skin’s immunity! Perfect for all skins especially acne hyperpigmentation and rosacea. Eye Correct’s unique patented luminescent effect lightens and smoothes the delicate eye area whilst powerful moisturisers and a Tetrapeptide help to reduce puffy eyes reduce appearance of lines and wrinkles boost firmness and elasticity. You gotta love that! Perfect for all skins looking for wrinkle free youthful eyes. Eye Fusions synergistic blend of award winning actives work together to plump the skin from within boosting the production of not just collagen and elastin but the ever-essential Hyaluronic Acid. A simple two-step process treats the eye area from the inside out giving a natural filler-injection like result and a luxurious hydrating antioxidant age reversal seal. The total eye privilege! Perfect for all skins concerned with aging. On clean, dry skin apply step 1 Bio-Energy Eye Gel over the entire eye area and allow to dry. Apply step 2 Cell to Cell TX Cream around the eye area. Allow to absorb, do not rub or peel the skin. Cutting edge super-antioxidants and potent concentrations of V8 Peptide Complex® make this age defying cream a five star anti-aging treatment. Fortified with mega doses of Vitamin C it works to awaken and hydrate the skin assist relaxation of muscles and help to reverse and diminish the signs of aging whilst providing a feeling of instant lift. Never ending youth! Perfect for assisting line and wrinkle relaxation age prevention super hydration youth and radiance. Antioxidant Hydra-Mist is a liquid hydrator for on the go! A handbag essential an on-board must have and powerful antioxidant perfect for topping up and restoring hydration and fighting free radical damage. An all round skin health hero for face and body Antioxidant Hydra-Mist can be sprayed whenever your skin is feeling dry or stressed. Perfect makeup setting spray! Perfect for all skin types. A product with its own frequent flyer number! Spray lightly onto face and/or body when skin feels stressed, dry, dehydrated or tight. Close eyes gently, do not squint and spray away. This light-weight oil free lotion offers a unique blend of ingredients designed specifically for problematic skin. Targeting bacteria excessive sebum production and build up on the skin’s surface daily application will aid in improving the skin’s condition. 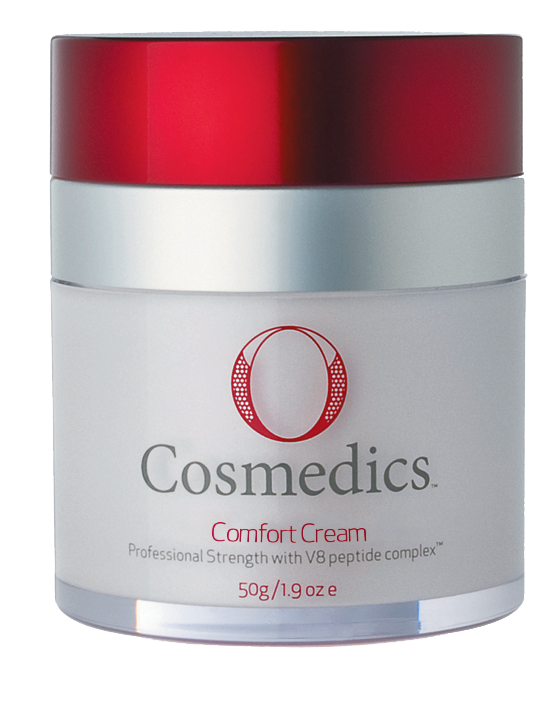 V8 Peptide Complex® ensures skin is left rebalanced and refreshed. Skin blessing! Perfect for assisting problematic and/or hormonally challenged skins showing signs of breakout oil imbalance and congestion. Favourite for guys. Mineral Pro SPF 30+ is a daily moisturiser that provides broad spectrum UVA & UVB protection. This lightweight fast absorbing formula dries to a clear finish. It also contains antioxidant resveratrol a skin conditioning peptide and a delicious vanilla fragrance. The broad spectrum SPF 30+ protection may assist to prevent solar keratoses and sunspots and reduce the risk of some skin cancers. When used daily as directed this SPF 30+ sun cream can aid in the prevention of sun-induced premature skin aging thus preserving your skins youthfulness and radiance... and it smells yummy too! Mineral Pro SPF 30+ is a daily tinted moisturiser that provides broad spectrum UVA & UVB protection. This lightweight fast absorbing formula dries to a sheer finish. It also contains antioxidant resveratrol a skin conditioning peptide and a delicious vanilla fragrance. The broad spectrum SPF 30+ protection may assist to prevent solar keratoses and sunspots and reduce the risk of some skin cancers. When used daily as directed this SPF 30+ sun cream can aid in the prevention of sun-induced premature skin aging thus preserving your skins youthfulness and radiance... and it smells yummy too!